With BATMAN WEEK and THE TOP 13 BATMAN COUNTDOWN (click here), we’re covering just about every angle of the Caped Crusader — so it’s only fitting that we also take a deep dive into all those wonderful toys. So as we did for AQUAMAN WEEK in December (click here), we asked 13th Dimension contributor Anthony Durso – the best maker of repro and custom toy boxes around — to rank the TOP 13 BATMAN ACTION FIGURES. 13. 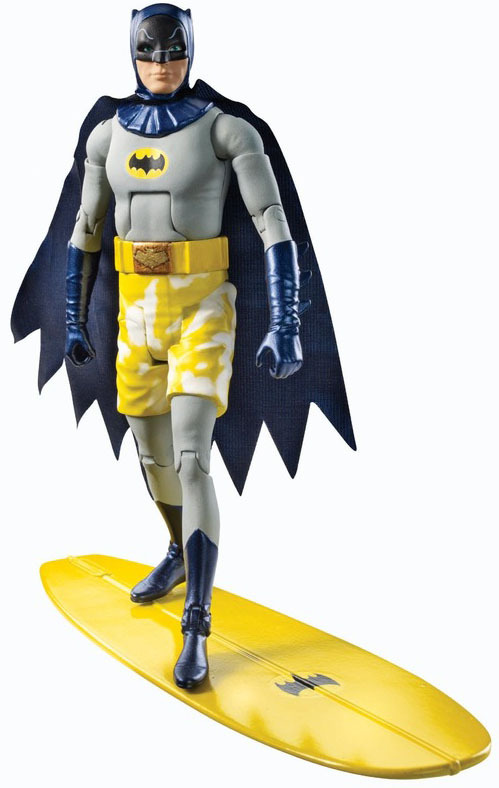 Surf’s Up Batman ’66, Mattel. 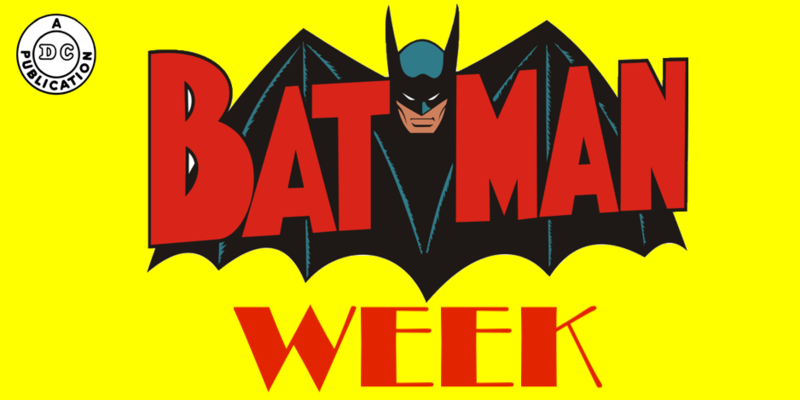 In 2013, after nearly 45 years, Batmania was all the rage once again as products under the “Batman Classic TV Series” license (i.e., Batman ’66) began to hit store shelves. One of the higher profile efforts was the release of a series of 6-inch figures from Mattel. Unfortunately, the output was very limited and the line eventually tanked within two years. Seven characters (Batman, Robin, Riddler, Joker, Penguin, Catwoman and Batgirl), one vehicle and two dioramas were all that were released. And two variants — Surf’s Up Batman and Joker, complete with baggies and surfboards. Cowabunga! 12. Lego Batman. 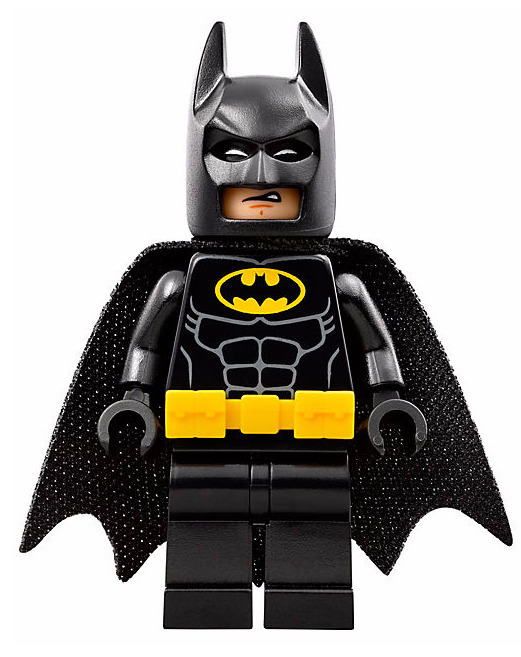 First introduced in 2006, Lego Batman has since spawned a whole line of Batman (and later DC Universe) characters and vehicles in brick format, as well as video games and feature films. Not bad for a hero that’s only four bricks tall! 11. Funko Pops Rainbow Batman. One of the greatest things about modern fandom and Batman is the willingness to accept the goofiness. 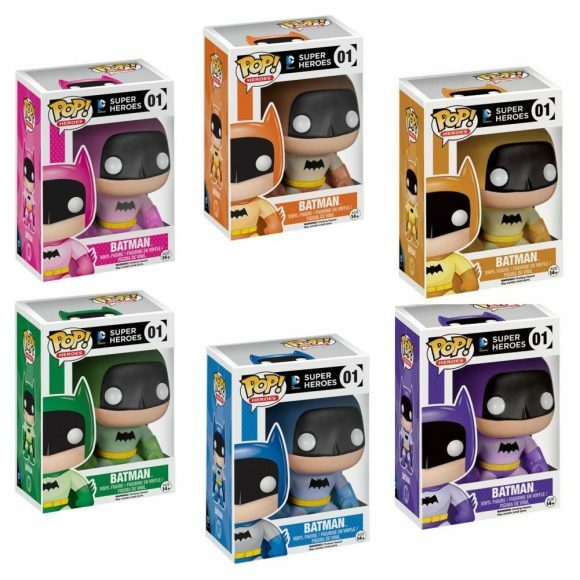 How else can you explain the series of six Rainbow Batman Funko Pops released in 2014 to celebrate the Caped Crusader’s 75th Anniversary? Inspired by the classic Silver Age story in Detective Comics #241. 10. Captain Action Batman. 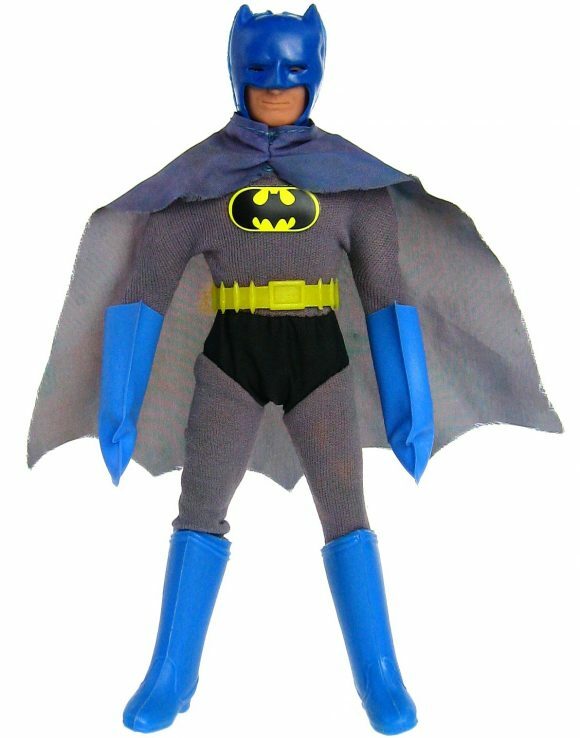 One of the first action-figure lines, Ideal’s Captain Action included Batman as one of its initial characters released in 1966. As with the rest of the superhero identities that Captain Action could assume, the package just contained a costume, mask and accessories, while the actual CA figure was sold separately. The costume was pretty faithful to the Silver Age version, although the Bat-symbol was printed on gold foil and the cape had a striped effect to the underside. The accessories were standard fare and included a Baterang (sic), Utility Belt with Radio, Grappling Hook and Bat-Rope, and Laser Torch. 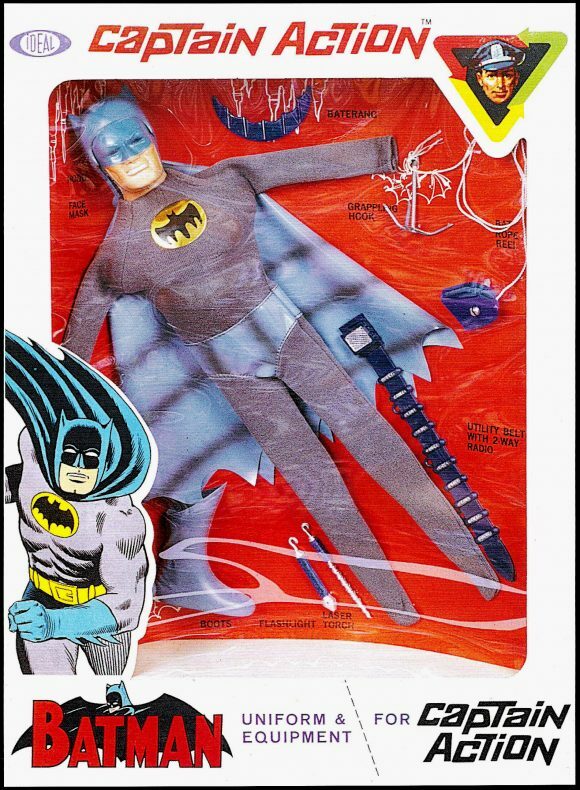 In the Action Boy offshoot of the line, there was a Robin costume and for the Super Queens, the Barbara Gordon version of Batgirl was offered. 9. Michael Keaton Batman, Toy Biz. 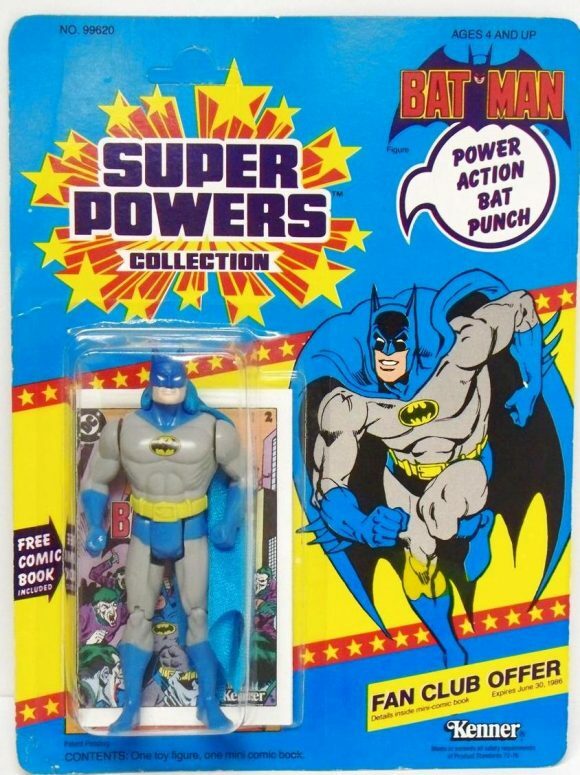 Upstart company Toy Biz produced a small line of Batman movie tie-in figures in 1989, taking over where the Kenner Super Powers left off a few years earlier. Inspired by the Michael Keaton/Jack Nicholson film, the line quality was actually poor (as was the subsequent DC Super-Heroes spinoff) and DC Comics took the license away from Toy Biz. They gave it back to Kenner, opening up the floodgates for Kenner Batmen for the next 13 years. 8. 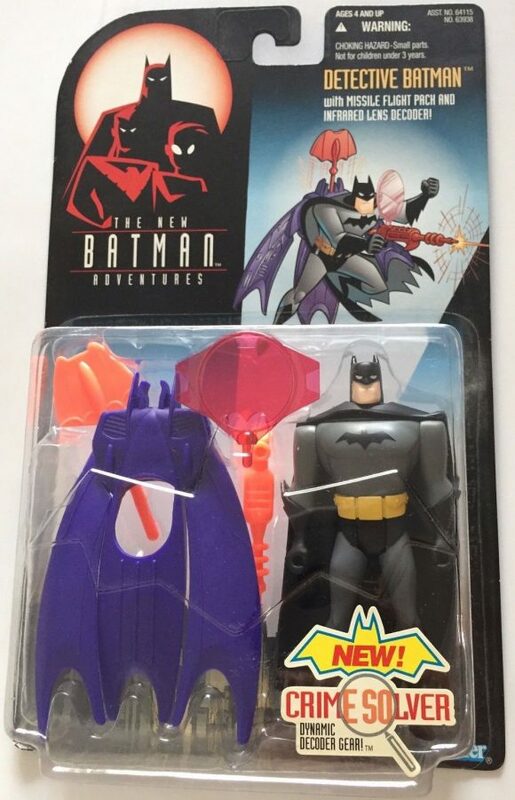 Batman: The Animated Series, Kenner. Kenner had been producing various Batmen figures for a few years, some inspired by the movie sequels, others inspired by, um, imagination. (Shadow Wing, Night Glider, Blast Shield, etc.) In 1992, they created a line inspired by Batman: The Animated Series. Like previous lines, there were a multitude of Batmen, with various tech gadgets. But they also did faithful adaptations of the extended Batfamily, as well as the rogues of Gotham. Detective Batman from the 1997 New Batman Adventures reboot was a personal favorite. 7. The Batman Masterpiece Edition, Hasbro. Between 1999 and 2002, Hasbro produced a limited series of figures in a 9-inch Mego-style format under the DC Super-Heroes banner. A 1939 Batman figure was included in the Batman Masterpiece Edition boxed set, along with a book detailing the Dark Knight’s history and a reproduction copy of Batman #1. 6. Classic Silver Age Batman and Robin, DC Direct. DC Direct released several Classic Silver Age boxed sets and Batman and Robin (in their Carmine Infantino/Murphy Anderson rooftop look) got the treatment in 2003. Batwoman/Bat-Girl, Batgirl/Joker, and Penguin/Catwoman also received sets. 5. Super Powers Batman, Kenner. 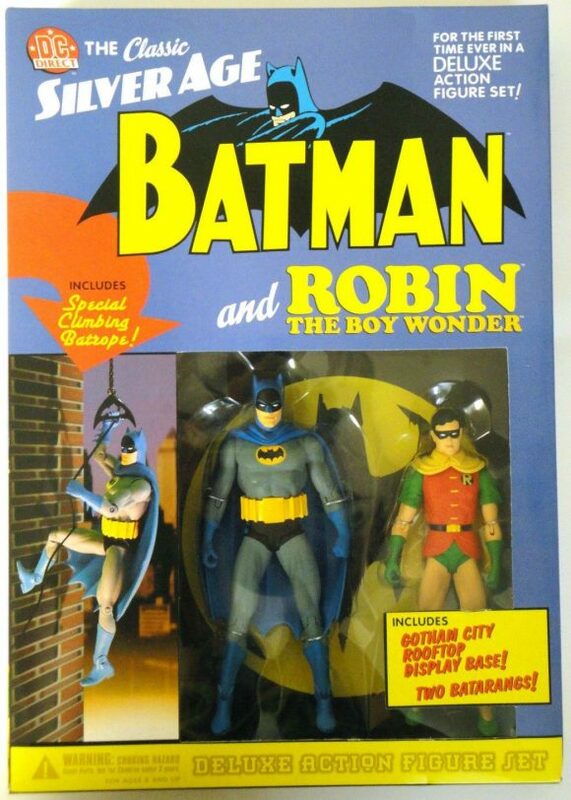 When Kenner released their awesome Super Powers line in 1984, Batman was part of Series 1 (along with Robin). With his Power Action Bat Punch, the Caped Crusader looked like he’d just leapt off the card art by the amazing Jose-Luis Garcia Lopez! 4. 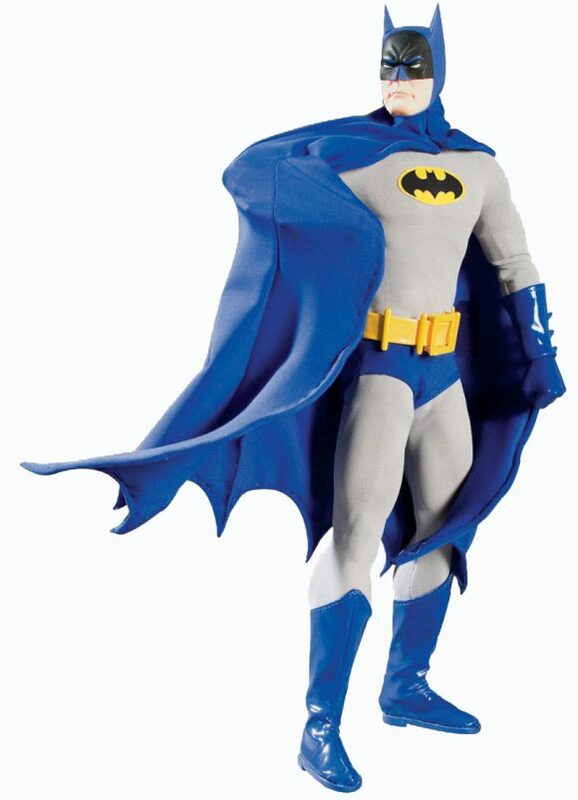 13-Inch Batman Classic, DC Direct.The 13-inch classic Batman figure released by DC Direct in 2008 is a perfect representation of what Bronze Age Detective Batman should look like. 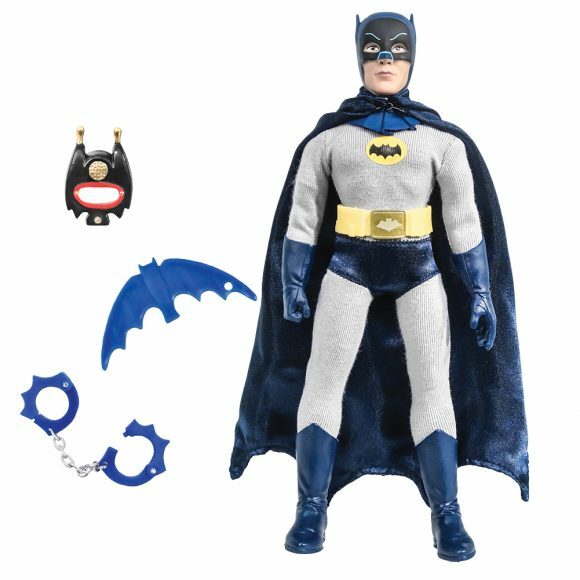 With 28-points of articulation, Batman comes with bat-cuffs, multiple batarangs, grappling gun and utility belt. 3. Adam West Batman, Hot Toys. Holy price tag, Batman! The high-end Hot Toys Adam West Batman was released in 2013 and is the ultimate Adam West Batman figure. The likeness is uncanny and the set features an array of interchangeable expressions and hands. 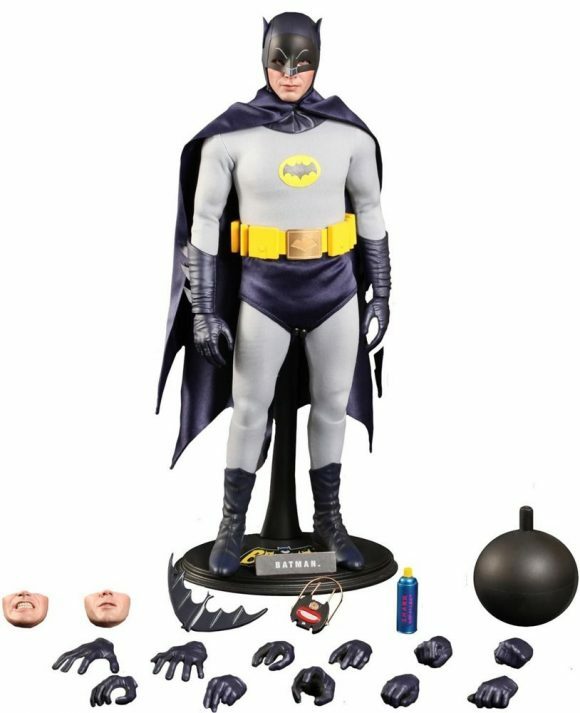 In addition, ’66-centric accessories like the Batarang and Bat-Radio – even a can of shark repellent! — round out this stellar package.Plus, there’s a bomb! 2. Batman ’66, Figures Toy Company. 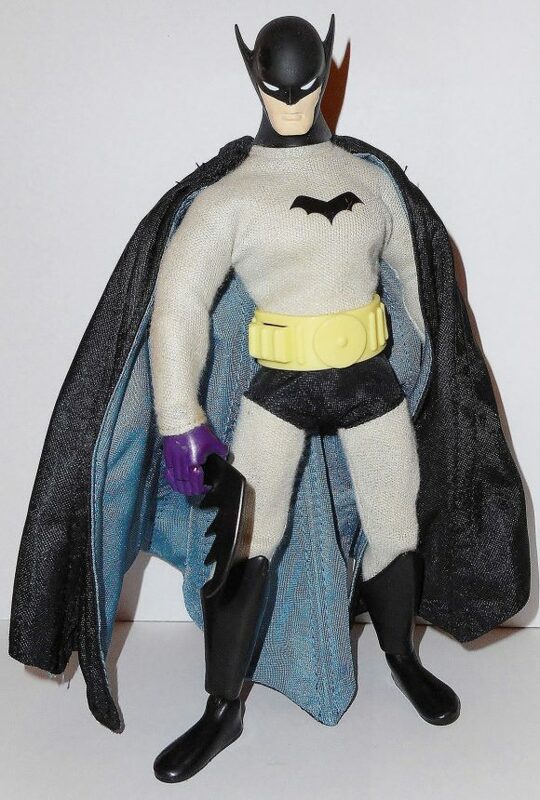 Although they had been producing Mego-style figures for about 10 years, with varying degrees of success, Figures Toy Company (also known as Classic TV Toys) took it to the next level when they introduced a Batman ’66 line of 8-inch figures in 2013. FTC went deep with this line. Not only did they include the heroes and the villains, but secret identities, supporting cast, variants and henchmen have all been released. Only likeness rights have prevented more characters from coming out. THESE were the figures we all wanted in kindergarten back in 1972! 1. Mego Batman. Which brings us to Mego Batman. In 1972, I was in Mrs. Royce’s kindergarten class and Batman reruns were all the rage after school. We’d talk about the previous episode the next day and classmates were always asking me to draw Batman for them (25 cents, please). 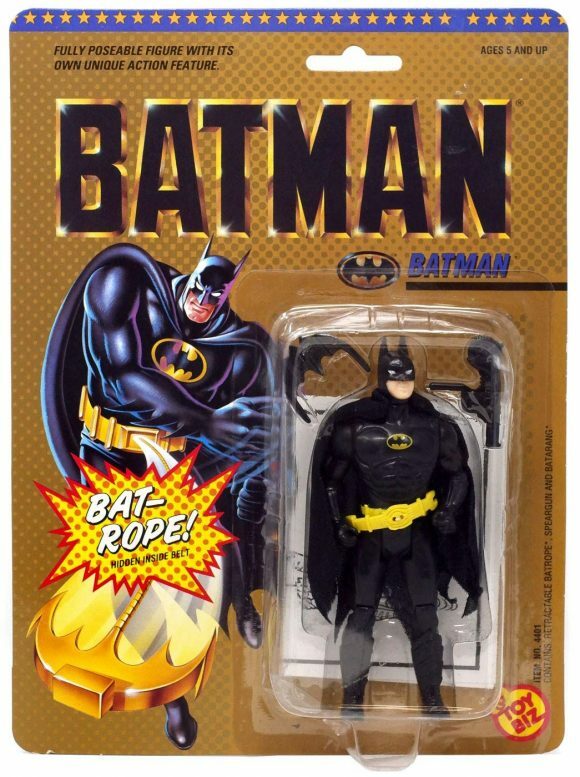 Everyone thought a Batman action figure would be cool, but all we had were our G.I. Joes. One kid had an Action Jackson from some company called Mego. But he was much smaller than G.I. Joe and didn’t really lend himself to playing with the others. One day, this big goofy kid named David (he of the Dumbo ears filled with earwax), came to school with a G.I. Joe dressed in a Batman costume. We flipped! “Where’d you get it from?” everyone asked while we were crammed into the play kitchen area. He claimed his mother made it for him. In hindsight I suspect he was lying and it was simply a Captain Action Batman. Nevertheless it renewed everyone’s interest in getting a Batman figure. Eventually, someone saw a commercial or an ad somewhere and said that the Action Jackson company was making a Batman figure that looked just like that Adam West guy on TV. And then another kid tipped us off that Stars Department Store had them stocked in the toy department. I begged my mother to go but when we got there… nothing. Nada. When I asked the kid who saw them there he claimed he got the last one. When we got back home after the trip, my brother and I raced out to the backyard to play with the Dynamic Duo while my mother unpacked. We were home only minutes when I pushed on the backdoor and my arm went through the glass. My brother stood there in shock, holding Robin. I sliced the underside of my forearm and required 13 stitches. When we returned home from the ER, Batman was still laying on the grass where I must have flung him. Eventually, the Removable Cowl got torn and then lost and Painted Cowl Batman replaced him. My brother probably went through two or three Robins because they always seemed to snap apart. We had the Joker, Penguin, Riddler, Catwoman, the Batmobile, the Batcopter and the Batcycle. A giant firehouse playset (think the station from Emergency!) was our Batcave. By 1977, we started to get out of action figures and my mother made us sell them all at a flea market to benefit MDA. Or so we thought. Some of them, like the Planet of the Apes guys and a Six Million Dollar Man survived. Batman and company weren’t so lucky. Which is why Batman was the first figure I sought out as a reproduction when I re-discovered Mego through the internet in the early 2000s. It was the quest to recapture Mego Batman and all his compatriots, plus more, that got me into toy collecting and then customizing as an adult. Collect ’em all! Anthony Durso is the owner of The Toyroom and Retropolis Tees. — 13 Great MEGO Boxes That Never Were. Click here. The Dark Knight sure has made a mark in the merchandising world. On my wedding day, I had Kenner’s Michael Keaton Batman action figure in my pocket. It even made it into the album. Loving these little guys since Mego.